This is one of the major sins which is spread widely among Muslims today. These days it is common among this Ummah to break ties with their relatives for even insignificant reasons. This is a major sin with the consensus of all scholars because its prohibition and its warning are very emphatic, that is barring from entering Paradise on the Day of Judgment. 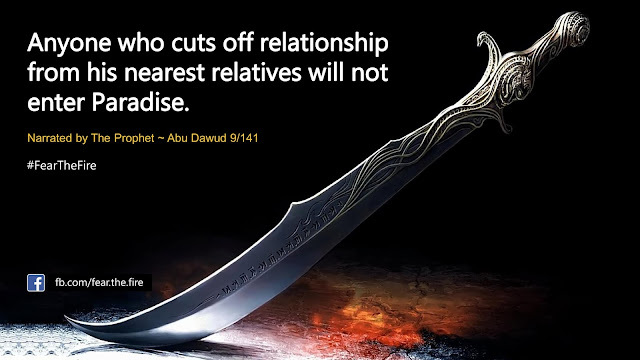 This is clear from the hadith of The Prophet (pbuh), which is reported by Imam Bukhari and Muslim, "One will not enter paradise if he/she cuts off relations with relatives." Who are the relatives with whom it is not allowed to cut off relations? They are the relatives whom you have the kith and kin relations with, whether they are the immediate relatives like the parents, brothers, sisters, uncles from the mother and the father sides, in-laws or the non-immediate relatives like cousins. This applies to both a Muslim or non-Muslim relative. 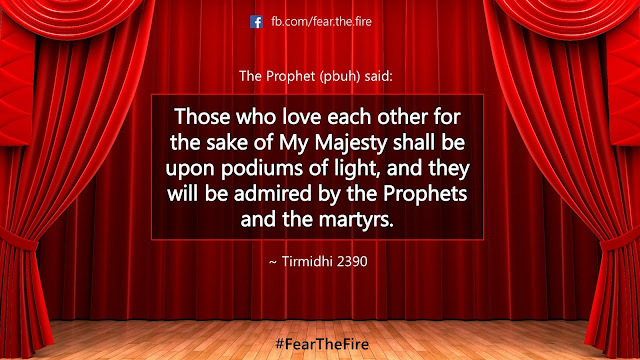 Islam prohibits any kind of extremism. Envy and hate is one of them. Take a look at the Islamic guidance on 22 different kinds of extremism here. How is cutting off relations with them prohibited? Cutting off relations with relatives is of various degrees of severity; the worst kind is to cut off relations with them completely (not even greetings or a single word with them). And a less severe degree is when you have less complete relations with them, the kind of relations where greetings are exchanged but there are no mutual visits on the appropriate occasions like Eid , weddings, and no support like financial support and no mutual help to stay well guided. All this is haram (prohibited), but some are worse than others. 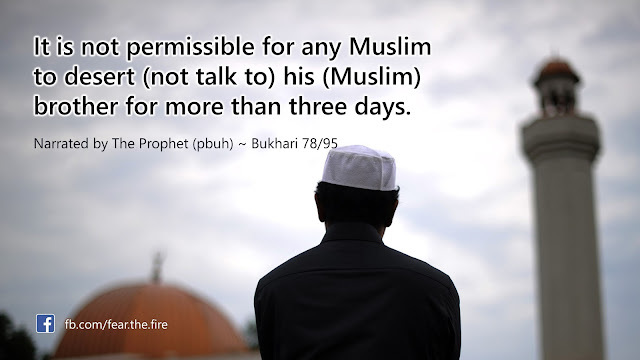 In several Sahih hadith you will notice words like "It's forbidden", "not permissible", "I command" used by The Prophet (pbuh). These must be taken seriously by a Muslim. Know that these are directives by Allah via Our Prophet (pbuh) to us. Thus in context to this topic any animosity, bitterness and anger between brothers in faith or between couples or between relatives must be overlooked and we should make haste to forgive each other. 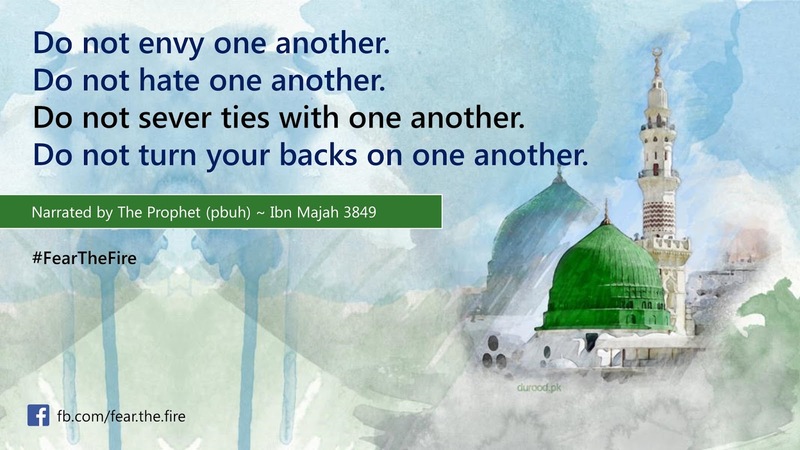 What does it truly mean by upholding ties of kinship? If the relationship is merely one of returning favors and giving like in return for like, and not taking the initiative, then this is not upholding the ties of kinship, it is only responding in kind. Some people follow the principle of giving a gift in return for a gift, and visiting in return for a visit, so if someone does not give them a gift, they do not give him a gift, and if he does not visit them, they do not visit him. This is not what is meant by upholding the ties of kinship at all, and this is not what is required by Islam. This is merely responding in kind, it is not the higher degree which Islam urges us to reach. How to observe uniting the ties of kinship? Uniting the ties of kinship could be observed by doing many things. It could be by visiting them, asking about them and about their status, presenting gifts to them, appreciating them, giving charity to the poor among them, having kindness with the rich among them. It could also be honoring the elder among them, showing mercy to the young and weak among them, and caring for them all the time by asking about their affairs and visiting them; this could be done by visiting them in person or through messages or phone calls. Also, it could be by hosting them and welcoming them, honoring them, and keeping touch with whoever severs the ties of kinship among them. Also, it could be by sharing their happy occasions and consoling them in their sorrows. May Allah protect us from this and give us hidayat not to sever ties with our near and dear ones. Islamic guidance on 22 different types of extremism. 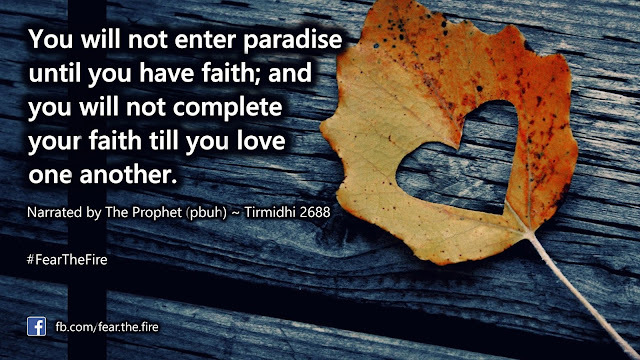 More on relations in Islam here.